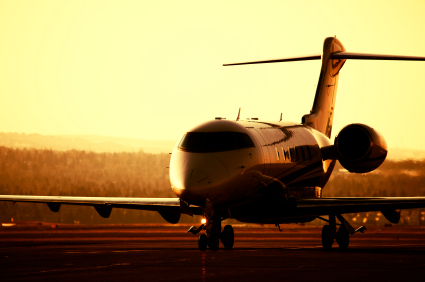 Sell Your Aircraft with Confidence…Even in a Slow Market!! Comments Off on Sell Your Aircraft with Confidence…Even in a Slow Market!! In my last blog article, I discussed the importance of confidence, decisiveness, and speed in the business turbine aircraft purchase process. If you don’t have a well-researched confidence in the aircraft market – what I like to call “market intelligence” – you will lack what it takes to “pull the trigger” and engage an airplane at the right price. The purchase opportunity to sell your aircraft will pass you by, and that could mean hundreds of thousands of dollars as well as hundreds of hours of wasted effort. Current Market Offerings: How many other aircraft of the same make/model are for sale, and where are they priced? What are asking prices and projected “strike prices? What are the confidential or “off-market” aircraft priced at? At DJI, we use our research process to capture all of this data. And, don’t underestimate the off-market airplanes for sale. They represent a significant portion of the market, and they are often some of the better deals that drive the market pricing. If a broker doesn’t keep you informed of the entire market, they aren’t giving you the real picture. Without a good broker, you’re “flying blind”. Recent Sales: What have similar aircraft recently sold for? In the real estate business, you would ask, what are the “comps”? This data is very closely guarded by most buyers and sellers of recent transactions, and only a well-researched and well-connected broker can provide you with this data. In many cases, recent selling prices tell the story much more clearly than an analysis of 35 different asking prices, 50% of which are probably over-inflated prices with unrealistic sellers. Market Trend Analysis: Where has the market been, and where is it going? This is the most subjective part of market analysis, but it’s also extremely important, because it gives you the ability to evaluate an incoming offer in the context of trends. This is especially important when there is a lower than usual selling volume in a particular market. You may not have recent selling prices due to inactivity, so you must evaluate an offer based on its larger historical context. At DJI, we keep selling price histories over many years, so that we know where the market is cyclically. Now that you retained an excellent broker like DJI, you can be armed with this information as offers come “flying” in, or come “trickling” in. You can suggest counter offers with confidence and market reinforcement, instead of just countering $150,000 or $350,000 below your asking price like you’ve always done. You can do this with speed so you can show the Buyer that you are earnest and educated in your efforts to sell your airplane. Many buyers are attracted to Sellers who are knowledgeable and represented by firms like DJI. Buyers assume that, if the seller takes that much care in pricing and marketing their airplane, then the same seller must take similarly excellent care of their aircraft maintenance. So, remember, even in a down market, corporate jet sellers who sell with confidence will always win the race.